Las Vegas, April 11, 2018 —To help clients achieve high-value return on their customer experience (CX) programs, MaritzCX® unveiled updates to its CX platform and product suites. These new features deliver large enterprises easy and practical ways to execute better customer experiences and boost the bottom line. The reveal was made during the company’s annual user conference, CXFusion. The enhancements support several key themes: driving better action in the field and with front-line employees; easier management of complex enterprise datasets; better governance; and higher success with driving measurable results. FieldCX™ a reporting and action toolset that has been optimized to the needs of front-line, customer-facing employees in a large organization. It offers a unique-in-the-industry flexibility for program administrators and scalable technology to help employees quickly get the insights they need, take corrective action and be better informed, which improves the positive results of CX programs. CXEvolution® is MaritzCX’s groundbreaking study from 2016 that is now expanded and updated to include linkage to business results. Clients use CXEvolution as a benchmark, and as a best practice guide and prescriptive model for their next, best action to build and execute effective, ROI-based CX programs. With over 10,000 responses spanning 40 industries, CXEvolution is now the world’s largest study yielding the key drivers, prescriptive actions and outcomes for highly effective CX programs. EX Monitoring™ helps business leaders understand the employee experience (EX) to strengthen a more customer-centric business model and increase employee engagement. The solution offers event-driven employee touchpoint surveys, out-of-the-box dashboards, analytics, loyalty and employee reward metrics and key employee benchmarking to better monitor and engage with employees to drive an exceptional customer experience. CXWorkflow™ is a data management workflow solution that helps enterprise clients quickly and effectively address the most demanding data needs for validation, structuring, cleaning, enriching and combining data for use in CX programs. CXWorkflow creates client-specific workflows to move data from its raw state to consumption and use, based on the client’s needs for data cleaning, hierarchy and quota management. CXStandards® benchmarking data is now integrated with the MaritzCX platform. This expansive dataset helps CX practitioners dive deep into 16 core industries, allowing leaders to more effectively interact with the dataset, focus improvement efforts to specific areas and make better decisions based on prominent CX market data. Governance is a prevailing topic with enterprise CX leaders. MaritzCX’s new offerings include workshops, coaching, and integrated technology solutions to help companies achieve a structured approach to launching and managing customer-facing programs to drive measurable results. Text Analytics Emotions applies integrated text analytics to measure the breadth of customer emotions. Emotions are a primary driver of future customer loyalty, and text analytics emotions data help ensure the appropriate action can be taken based upon the customer’s emotions. Extensible SaaS, MaritzCX’s expanded, API-based technology architecture, allows clients to reap the benefits of its SaaS platform while offering the ability to create customizations specific to any CX program. Extensibility is being used to power a host of new solutions within the MaritzCX platform, including a new offering to showcase real-time feedback on TV monitors located in key areas of any business – popular with team leaders, executives and employees – as well as new CX-based chatbot solutions, digital experience measurement solutions, including app and website intercepts and more. Expanded Integrations enables companies to understand their customers at the early stages of the sales cycle. Integration with the Salesforce Lead Object opens up new survey opportunities during the early stages of the relationship with a prospect and allows companies to survey contacts gathered from your lead generation activity. With strong growth around the globe, MaritzCX reached a record 1.7 million platform users this year. Several technology integrations, services-based solutions and key partner announcements marked major milestones in further demonstrating its position as the enterprise CX solution provider. 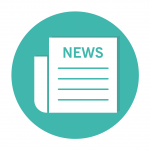 Learn more about these updates at www.maritzcx.com. MaritzCX is customer experience (CX) management for big business. High-value CX programs are critical for every organization. We combine CX software, data and research science, deep vertical market expertise, and managed program services to help accelerate client success. CX programs that are most impactful drive the right kind of actions throughout a company and support a strong business case. MaritzCX seeks to partner with companies that insist on effective and high-ROI CX. Our customers include global brands from the automotive, financial services, travel and hospitality, consumer technology, telecom, retail, B2B, energy and utilities industries.